I can’t name one of Celine Dion’s songs except for the one that went with the movie Titanic. The only reason I remember that song is because two of my cousins chose it to play as they walked up the aisle at their double wedding. They were both hugely pregnant. When they met their grooms at the altar and swung their white satin-draped bellies to face each other, the connection between mammoth sea vessels and their nuptials became apparent, and the Celine Dion song was stuck in my brain for good. Celine Dion will launch Pure Brilliance, a new fragrance for women, in September. 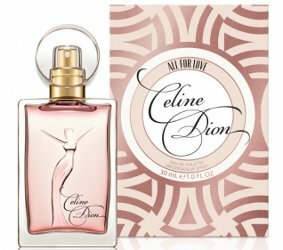 Next month, Celine Dion launches Simply Chic, a new limited edition flanker to last year’s Celine Dion Chic for women.